A lovely occasion! But can anyone tell me why the third Confiteor and Last Gospel were included on this occasion? Hadn't these elements been removed in 1960? 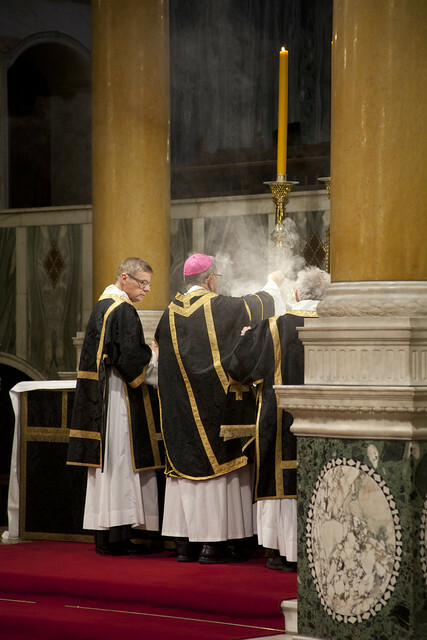 I don't have an explanation, except to say that with Canon Poucin as MC we were following ICKSP practice, and also that the 2nd Confiteor seems to be used at Pontifical Masses as a rule. I've seen successive heads of the PCED do it so perhaps it is ok. Doesn't the 1961 Pontificale Romanum specify inclusion of the 2nd Confiteor in Solemn Pontifical Masses (so its omission would actually be a violation? Looks mostly empty. 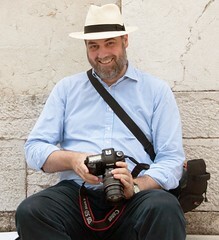 I wonder if the cathedral will permit it for much longer if attendee numbers continue to dwindle. It's not easy to make the Cathedral look full, though we did pretty well in 2015 with Cardinal Burke. Most of the Masses taking place there look even emptier. As for the Archdiocese's attitude, they are so keen for us to have these Masses there that they even provide us with a bishop to celebrate them. 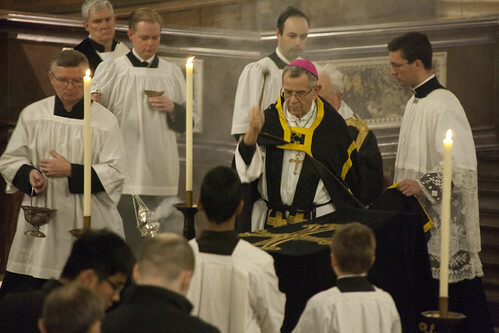 It is entirely thanks to the Cardinal's encouragement that Bishop Jabale celebrated this Mass. Well, that's positive. 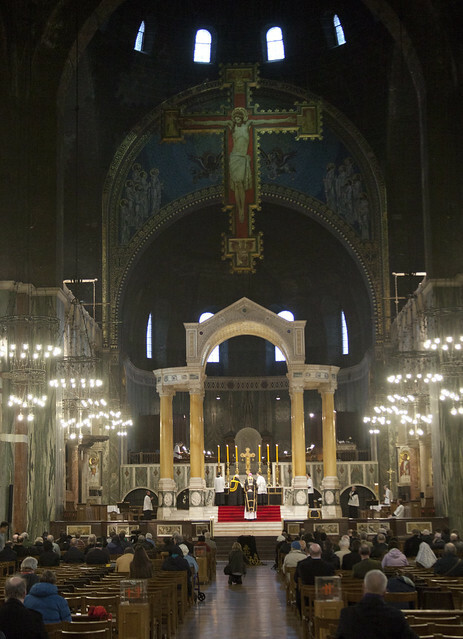 However, around 15-20 years ago, before your time, I recall the cathedral being half to two thirds full for these Masses. 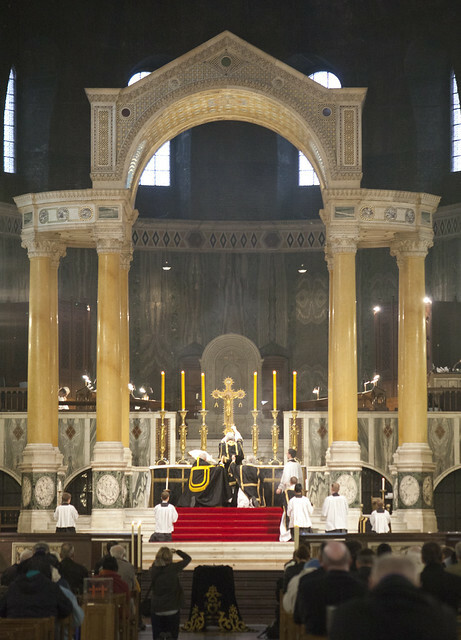 The first traditional Mass I ever experienced was a Missa Solemnis on one such occasion, a very memorable and moving experience. Why do these Institute priests refer to themselves as canons?? 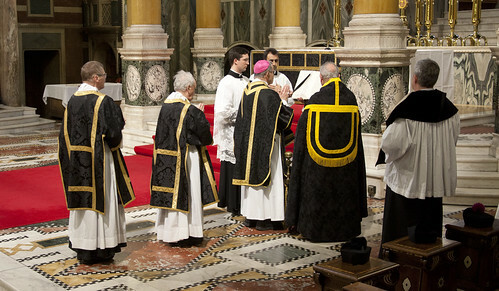 They are neither attached to a cathedral or collegiate church chapter, nor are they Augustinian Canons Regular. I mean, they rob the term "canon" of its significance. 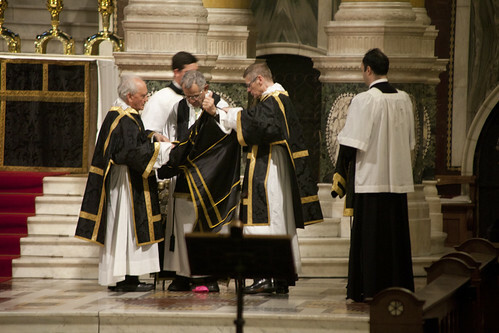 A quotation and explanation on why ICKSP priests are called Canon. 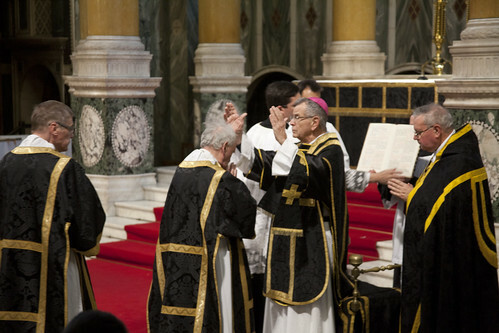 "With the Decree Saeculorum Rex signed by the President of the Commission Ecclesia Dei, Dario Cardinal Castrillón Hoyos, in the name of the Roman Pontiff, the Institute of Christ the King Sovereign Priest was elevated to the status of Pontifical Right on October 7th 2008, the Feast of Our Lady of the Rosary. 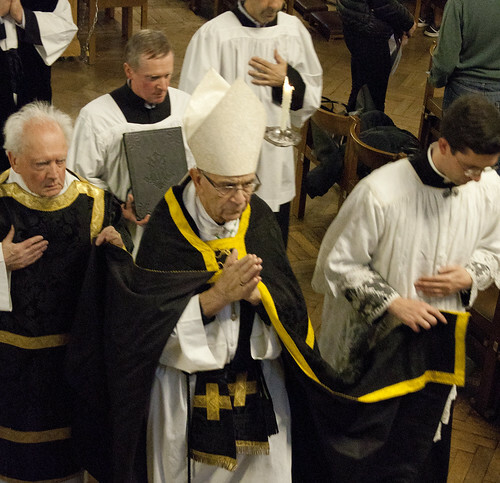 This favor was granted after a mature deliberation conducted according to the traditional procedures of the Roman Curia, including several positive Apostolic Visitations and the affirmative consultation of over fifty Bishops in whose Dioceses the Institute is present. 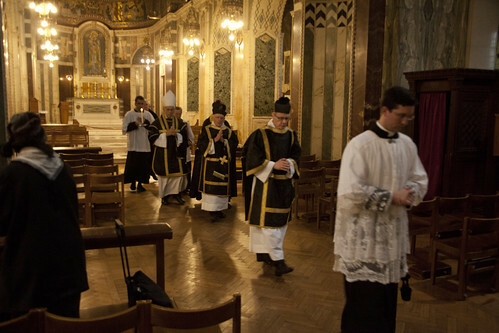 The canonical form of the Institute’s life is mainly expressed in the emphasis its constitutions put on the regular and solemn celebration of the Sacred Liturgy during the day, foremost through the solemnity of the Holy Sacrifice of the Mass, which is the focus of the community life, but also through the Holy Office, which, in its recited or chanted form, regulates and sanctifies the daily work. 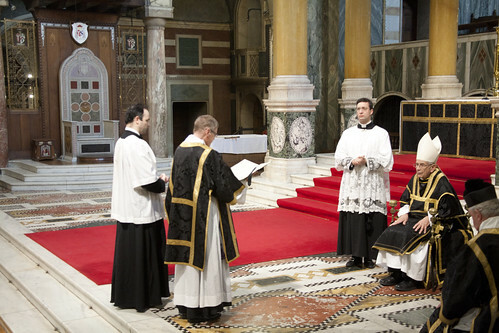 After the example of the secular Canons in the history of the Church, the Canons and Oblates of the Institute of Christ the King Sovereign Priest have the goal to spread the kingdom of Christ and to evangelize the world through the sanctification of life with the liturgical celebrations instituted by Jesus Christ the Eternal High Priest and cultivated by the Church under the guidance of the Holy Ghost. 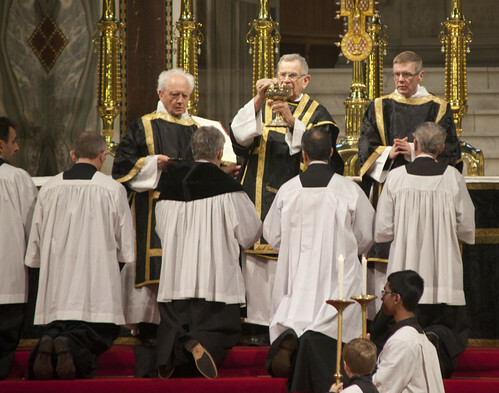 For this reason, the members of the Institute make the glorification of God in the Liturgy the focus of their fraternal unity and of their apostolic work. 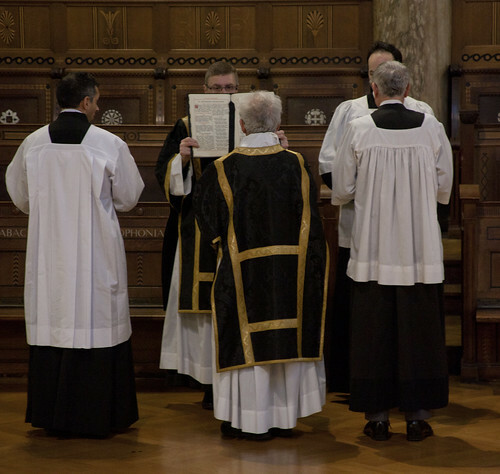 Both are expressed in their Choir habit, which underscores their canonical order of life. The blue color of the choir habit signifies their consecration to Our Lady of the Immaculate Conception as their main patroness and their devotion to St. Francis de Sales as the example of their desire for an ever greater charity. With these are combined the spirit of true Romanity and a faithful attachment to the Vicar of Christ on earth. Now approved by the Holy See, the Institute’s canonical order of life as established by its constitutions under the governance of Monsignor the Prior General seals the distinctive identity of the Institute of Christ the King Sovereign Priest. 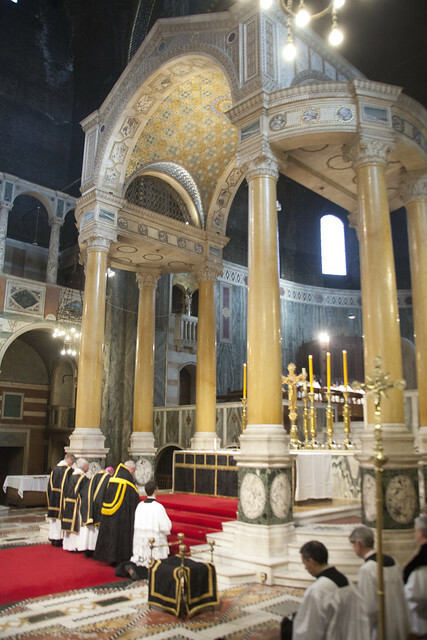 The Canons and Oblates of the Institute are humbled by the fact that their very own charism and identity was approved by the highest ecclesiastical authority. They promise to live the spirit and letter of their constitutions to the fullest, well knowing that perfection is a gift of God and that all their efforts can only come to fruition if commenced, accompanied and accomplished by divine grace."